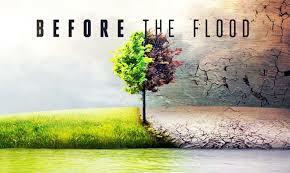 April 22nd we celebrate the 47th Annual Earth Day. Cool Planet is partnering with other neighborhood groups to celebrate throughout the month of April. Please join us for any or all of these great events – many are perfect to bring the whole family. 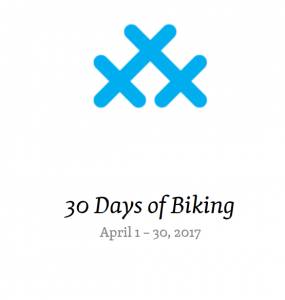 April 1: 30 Days of Biking kickoff at Linden Hills Co-op (3815 Sunnyside Ave, Mpls) 8-10 am coffee and sign the #30days of biking pledge, over 8600 in 2016, approaching 5,000 this year so far. April 8: Citizens’ Climate Lobby Monthly meetings– building political for a livable world through carbon pricing and respectful, bi-partisan conversations. Multiple locations for metro area meetings here. April 11: Cool Planet presentation at Linden Hills Park (4230 Xerxes Ave, Mpls) 6:30-8:30 Topic includes Mindy Ahler’s LowCarbon Crossings cross-country bike journey and the work to build a bi-partisan climate solutions movement. April 15: Green Shopping at Linden Hlls Co-op 11-1 pm. The co-op carries hundreds of local and organic products that were created with the environment in mind. The Climate Action Team (CAT) will be at the store talking about ways to shop sustainably at the co-op and giving away free Linden Hills Co-op reusable shopping bags. Pick up a list of featured sustainable products and try some samples. On Saturday, April 22nd, Edina Morningside Community Church will host its Third Annual Earthwork Breakfast! Food service begins at 8:30 am, with a presentation on bee farming at 9:00 am by our own Robert Schumacher. (He’s bringing his bee suit!) At 9:30 am, we’ll hear from Leah Lamon’s daughter, Jayne Stevenson, who is a member of Roots & Shoots in St. Louis Park, as well as executive director Larry Kraft, on environmental sustainability. At 9:45 am, we’ll offer our last Morningside U class of the season as Laurie Chidester hosts a bicycle safety and maintenance clinic. Bring your bike, helmet, and tools, or let Laurie show you how to change a tire on a model. With honey-tasting, crafts for kids, and videos, maps and tips to get you out bicycling, we hope you’ll join us in thinking about ways to be better stewards of the earth. Free event. RSVP for breakfast at emcucc@emcucc.org. Join in the neighborhood fun! Neighbors, environmental groups and businesses will be in the park sharing skills and ideas for sustainable living.1:45 pm Family bike ride from Morningside Community Church to Weber Park, 2-5 pm Electric car showroom, Edina Energy Action Plan challenge, renewable energy options (Windsource and Solar programs), Eco Passport for Kids, Adopt a storm drain, outdoor games, zero-waste (composting & recycling) and more. April 30: 30 Days of Biking Family Bike Ride 2 pm. Meet at Linden Hills Co-op for a fun family bike ride around the neighborhood. All ages welcome. We’ll loop back to the co-op for lemonade on the patio! This event marks the end of the 30 Days of Biking and Climate Action. ← So, How Was the Bike Ride?